CVEDesign | Entro | Howdy Students! It’s Studio Tour season again! 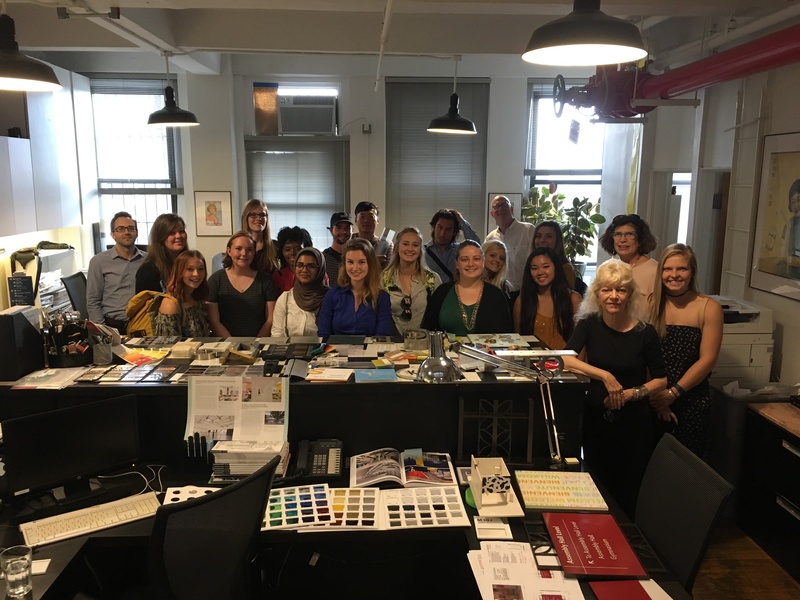 We love having student groups visit our studio – and this week’s rounds by Iowa State and James Madison University were a welcome burst of optimism. We were able to use recent projects including Second Avenue Subway and Cornell University as an exciting intro to the ever-evolving world of Environmental Graphic Design. Chris and Dave led an informal round table discussion and presentation, and then Jess and Greg walked both groups through a current in-process project, a whirlwind tour of our samples library, and fielded questions on their experience, EGD in general, and professional life after graduation. 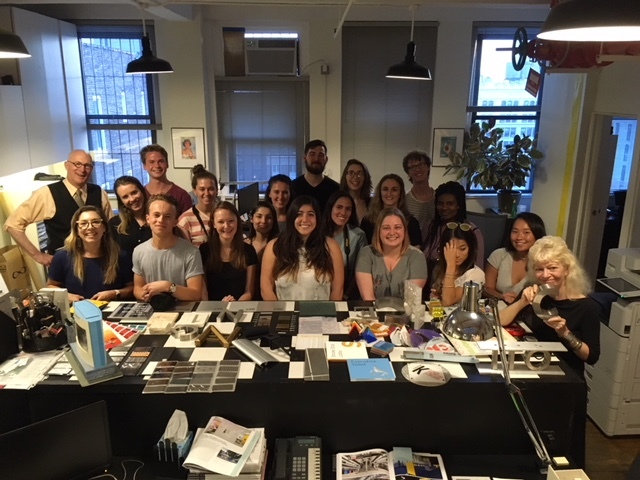 Big cheers to the next generation of talented and inspiring graphic design graduates!